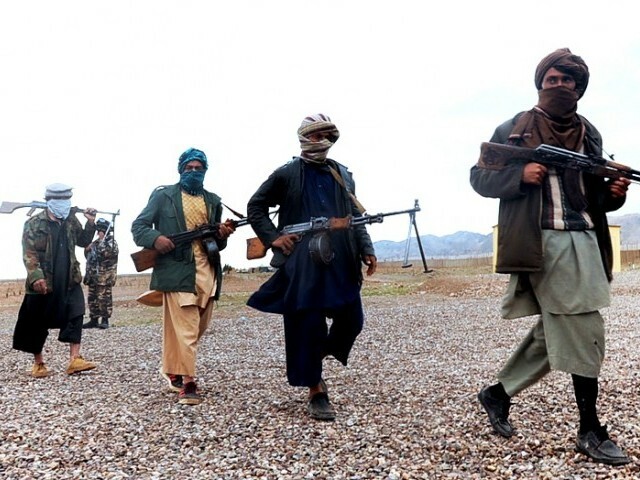 KABUL: The Taliban militia announced they would launch their annual “spring offensive” across Afghanistan on Thursday, threatening to target US-led NATO troops and their allies with renewed vigour. Code-named Al-Farouq, the primary targets of the offensive would be “foreign invaders, their advisors, their contractors, all those who help them militarily and in intelligence,” the militants said on their website. “Al-Farouq spring offensive will be launched on May 3 all over Afghanistan,” the militant group said. The militia said the code name came from Islam’s second caliph, Omar Al-Farouq known for his military advances in Asia and the Arab world during the 7th century. The announcement came hours after Taliban insurgents armed with guns, suicide vests and a bomb-laden car attacked a heavily fortified compound used by Westerners in Kabul, killing seven people and wounding more than a dozen others. On November 2, 2011, the Civilian Agency Acquisition Council and the Defense Acquisition Regulations Council (FAR Councils) issued a final rule on “Personal Conflicts of Interest,” or “PCIs,” that will place significant new obligations on contractors and contractor employees. 76 Fed. Reg. 68,017 (Nov. 2, 2011). The rule requires contractors that have employees performing “acquisition functions closely associated with inherently governmental functions” to identify and prevent PCIs for such employees. It also requires such contractors to prohibit “covered employees” with access to non-public Government information from using it for personal gain. The final rule implements section 841(a) of the Duncan Hunter National Defense Authorization Act for Fiscal Year 2009, Pub. L. No. 110-417, and follows a proposed rule issued nearly two years ago, 74 Fed. Reg. 58,584 (Nov. 13, 2009). The final rule, which includes only minor revisions from the proposed rule, creates a new subpart under FAR part 3 (FAR subpart 3.11), as well as a new clause for Contracting Officers (COs) to use in contracts (FAR 52.203-16). The rule’s effective date is December 2, 2011. The new clause will be included in all covered contracts and task or delivery orders issued on or after the effective date. COs are instructed to modify, on a bilateral basis, existing task- or delivery- order contracts to include the new clause for future orders. In the event that a contractor refuses to accept such a modification, the contractor will not be eligible to receive further orders under the contract. Defense contractors launched a broad lobbying campaign on Wednesday to drum up public support for holding the line on U.S. military spending cuts. Alarmed at the prospect of Congress dictating steep new reductions on top of more than $350 billion in cuts already in the pipeline from Pentagon streamlining, contractors based their urgent appeal on economic as well as national security grounds. Industry lobbyists are highlighting the role of small business in aerospace production and asking the general public to contact lawmakers directly to support their position. Boeing Co; engine maker Pratt & Whitney, a unit of United Technologies Corp; and other companies under the AIA umbrella are looking to create general awareness about the potential impact of extended spending reductions. A congressional “super committee” on deficit reduction is trying to find at least $1.2 trillion in budget savings over the next decade. The worst-case scenario coming out of the panel by year’s end — if it cannot reach agreement on additional cuts — would be an additional defense cut of up to $600 billion over the same period. Industry calls this possibility “draconian.” Senior U.S. civilian military officials, including the nominee for the Pentagon’s No. 2 post, Defense Undersecretary Ashton Carter, told the Senate this week that cuts “over and above” the level already in the works would be devastating. Beyond traditional lobbying that includes CEO visits to “super committee” members this week, the AIA trade group — which also represents Lockheed Martin Corp, General Dynamics, Northrop Grumman and others — is launching a grass-roots strategy. On June 3, US District Judge Kenneth A. Marra in Southern Florida issued a 95-page opinion in the case in re Chiquita Brands, International, allowing lawsuits brought by some 4,000 Colombians seeking compensation for violence by armed groups the company backed to move ahead. The case arose from Chiquita’s admitted payments of millions of dollars to the warring factions in Colombia’s decades-old civil war: the right-wnig United Self-Defense Forces of Colombia (AUC), and the left-wing Revolutionary Armed Forces of Colombia (FARC). In March 2007, Chiquita pled guilty to engaging in financial transactions with these State Department-designated “foreign terrorist organizations.” Represented by now-Attorney General Eric Holder, the $4 billion dollar company admitted its guilt, and agreed to pay a $25 million fine over a period of five years. Under the deal, no individuals were to be prosecuted. By admitting its guilt in a criminal proceeding, the company set itself up for lawsuits, brought by the families of thousands of individuals slain by these groups during the years they were in Chiquita’s pay. Judge Marra upheld a variety of claims brought under the Alien Tort Statute, or ATS, including summary execution, torture, war crimes and crimes against humanity. These claims are violations of international law, which was called the Law of Nations back in 1789 when the ATS was enacted. The crux of the case was not whether the AUC and FARC committed war crimes, torture and the like. That is really beyond dispute. The difficult issue in the Chiquita case was whether a corporation paying these groups could be held responsible for what they do, and if so, what more must be proven, other than the payments themselves? Following the reasoning used in the Khulumani and Talisman cases [involving South African apartheid and genocide in Sudan, respectively], brought in federal courts in New York, Judge Marra held that in order to be liable for the Colombian groups’ crimes, Chiquita must also have intended that those groups commit the crimes, at least in some general way. Just knowing that the groups might massacre and torture innocent civilians would not be enough. In order to be held responsible, the victims’ families must also show that Chiquita wanted those groups to do what they did. As in the New York cases, Judge Marra relied on international law standards for what constitutes “aiding and abetting” crimes committed by someone else. Since no consensus exists, at the international level, whether a mens rea (mental state) of “knowledge” or “intent” is required, the court chose the more restrictive standard of intent, in keeping with the US Supreme Court’s decision in Sosa v Alvarez Machain [concerning an accused Mexican cartel hitman who was abducted to the US to stand trial]. In the Sosa case, the Supreme Court warned the lower courts not to be too quick to recognize “new” concepts in international law: any disputed concept is not actionable under the ATS. Using the same reasoning, Judge Marra struck the Chiquita plaintiffs’ claims for terrorism, holding that terrorism is not a sufficiently defined legal concept in international law. The Chiquita victims need not prove this intent on a case by case basis, though. They don’t have to prove that Chiquita specifically intended that the AUC, or FARC, torture or kill the specific individuals in this case, or even knew their identities. They must show that Chiquita intended the AUC and FARC to torture and kill civilians in Colombia’s banana growing regions. According to Judge Marra, this reduces to the allegation that Chiquita “took a side” in the conflict, in the course of that side’s efforts to defeat its adversary. Judge Marra distinguished the Chiquita case from several others brought by Colombian victims against Coca Cola and Drummond. In those cases, although the alleged murders of union leaders may have occurred during a war, they were not really part of the war, and thus not actionable as war crimes. They were crimes committed under cover of war. The lesson for human rights lawyers is that one of the key things to prove in this type of case is the nexus between the crime committed, and the war itself. Crimes that occur during a war are not necessarily war crimes. We have seen similar arguments made in the context of lawsuits against private security contractors in Iraq: that the contractors are not actually part of the war, they are part of the reconstruction of Iraq. As shallow as this may sound, the outcome of the case may depend on this determination. It is no secret that companies spend money lobbying Congress. But there’s a new wrinkle to the relationship between corporations and federal money. Tess Vigeland: President Obama met with Congressional Republicans at the White House today. The agenda: coming to an agreement on the government’s ability to borrow. The debt ceiling. The big sticking point is whether spending cuts will be attached to that legislation. 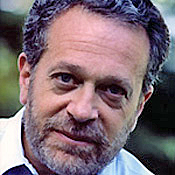 But commentator Robert Reich wants another policy topic front and center. And he says, it too, has a lot to do with your taxpayer dollars. Robert Reich: President Obama is mulling an executive order requiring that big government contractors disclose their political spending. He should stop their political spending altogether. Take Lockheed Martin, the nation’s largest contractor. The company has received nearly $20 billion in federal contracts so far this year. It’s already spent more than $4 million lobbying Congress. Lockheed has also been spending more than $3 million a year on political contributions to members of Congress that vote its way. And an undisclosed amount to the Aerospace Industries Association to lobby for a bigger Defense budget. But wait a minute. You and I and other taxpayers are Lockheed’s biggest customer. As such, we are financing this political activity. It’s one of the most insidious conflicts of interest in American politics. And Lockheed is hardly unique. The 10 biggest government contractors are all defense contractors. Every one of them gets most of its revenues from the federal government. And everyone uses a portion of that money to lobby for even more Defense contracts. How many private contractors does the Pentagon need to cut to meet Defense Secretary Robert Gates’ target of a 10 percent reduction annually over three years? The Pentagon might not even know — it doesn’t have a comprehensive count for the contractors it employs. Former Sen. Alan Simpson, co-chairman of President Obama’s deficit reduction commission, said over the weekend that the Pentagon should be able to cut 250,000 contractors based on estimates that the Pentagon employs between 250,000 and 1 million contractors. Whereas contractors used to be the “in” thing as a means to get employees off the government dole, Gates says the department has become far too reliant on them to perform functions that could be done by full-time employees. Nato supply convoys travelling through Pakistan to Afghanistan have regularly come under attack in the past, but following Pakistan’s decision to block their route through the Khyber Pass, they now face an even bigger security threat. They say there is evidence to suggest that bombs have been planted in many of vehicles by the “Nato contractors” – individuals or companies who have been contracted by Nato to supply fuel and goods to forces in Afghanistan. 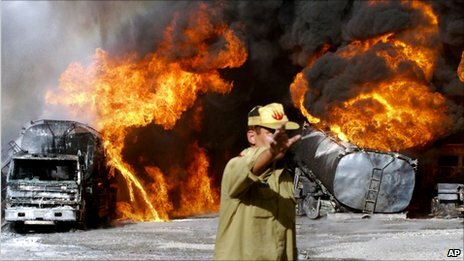 “Only 2,000 litres from the original 50,000 litres had been left in the tanker to cover up the crime,” he said. The presence of contractors in warzones is growing by the day. More than 150,000 are in Afghanistan and Iraq. Also on the rise is the level of scrutiny they receive from the U.S. government and international organizations, in addition to more cutthroat competition from peer firms. As a result, contractors are creating an increasingly lucrative industry for law firms. Attorneys who represent battlefield contractors are busier than ever. They are dealing with investigations, battlefield torts, employment litigation, international lawsuits, defense contractor disputes and the complex laws of armed conflict. The large presence of U.S. troops and contractors in warzones has opened the floodgates of litigation as foreign governments and firms discover the high-stakes payoffs of the American legal system. “One of the most successful American exports to the world is our litigation system,” says Tara Lee, a partner in the law firm DLA Piper’s litigation practice, in Reston, Va.
Lee represents a number of contractors who work for the State Department and the U.S. Agency for International Development in Iraq, Afghanistan and Somalia. “It is very easy for companies to be sued in the United States, versus in other places,” she says. “Both U.S. and foreign contractors who do work for the U.S. government have been sued in the United States, usually by people who’ve never set foot in the U.S. but see that our American litigation system is a very attractive one,” Lee says. While war rages thousands of miles away from the United States, court fights over every conceivable issue are erupting nationwide. “You see lawsuits for slip and fall cases in the middle of a warzone, every possible kind of contracting issue, injuries, property claims. They’re bringing cases for injuries in Iraq and Afghanistan based on different laws from different states,” says Lee. While contractors in combat zones are hiring more lawyers to represent them in court, companies that are bidding for future contracts also are retaining legal help as a preemptive measure, Lee says. “That is the area that has grown the most: advising companies upfront if it’s safe to go to a certain country, how to operate safely and legally,” she says. “We’ve been doing a lot more of this in the last year.” More companies are seeking expertise on local taxation and how to create business entities in the Middle East, she says. 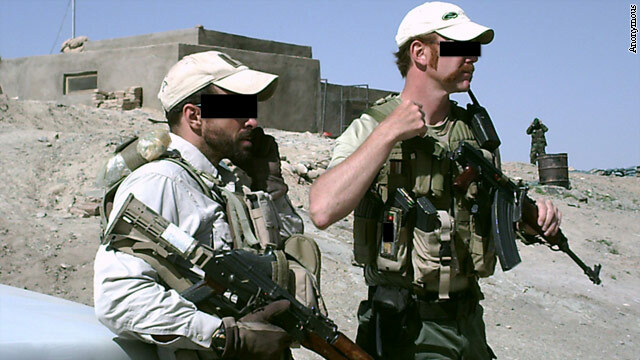 Most of the legal work associated with warzone contractors is defending clients before special inspectors general and the Defense Department IG, Army criminal investigations, U.S. federal court criminal and civil cases and congressional committee investigations. Lee has spent the past 18 months in Somalia, Iraq and Afghanistan representing companies that are supporting State and USAID in malaria inoculation, governance, linguistic translation services, accounting and crowd control work. As if there weren’t enough lawsuits to go around, the release by Wikileaks last month of thousands of sensitive U.S. military documents is likely to generate more work for legitimate lawyers and for ambulance chasers. But U.S. litigation is expensive even for defendants who have done no wrong, she says, so what the plaintiffs’ lawyers are often hoping for are quick “nuisance value” settlements. The office of General Inspector in Iraq Ministry of Planning and Development Cooperation said that 146 company and contractor were added to the black list for submitting falsified documents. Meanwhile, 4 employees were secluded for submitting fallacious studies documents. An official source in the General Inspector office said that it reassessed the official papers in order to categorize the contractors according to financial ability and the achieved works.